The District 26 Website Operating Procedures were created to address security, approval and publication of documents to the website, and to inform users of the process of requesting changes to the various pages. Click on the link below to download the PDF version. In 2017-2018 District 26 Toastmasters updated the D26 Website to create a webspace with a unified, cohesive look and feel with modules and modalities to allow all users to utilize the site and to create a space for updated District News and Information. Now that the site is in place, the District would like to keep this site as clean and uncluttered as possible as not to overburden the site or the users with unnecessary content and media. To uphold this quest, we have developed the following set of operating procedures for best practices. For site security only the web team will have Administrator Access. Editor Access will be granted only to the District Director and the Blog Editor. Add any images you desire. Can the document be used for content on the site instead of loading it to our media library to be used as an attachment? If the document needs to be loaded, is it evergreen or can it stay for a year or more? If the document is not evergreen, should it be added to our repository? If the document will be printed outside of the website, the document must have proper branding since it will be considered a stand​-​alone document once it is printed. Is there a signature tied to the document? If “yes”, does this signature represent a current leader whose signature might be replaced by the successor to this role?​ If so, the web team will need to add it to an End-of-Year checklist for documents that will need to be updated and alert the incoming roles for proper updates. The District Director grants the web team authority to have first approval of all items for the timely publication on the website. 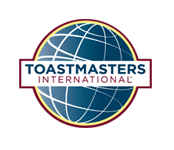 Toastmasters International Protocol 4.0.2 indicates that the District Director is ultimately responsible for all district website content. Therefore, the District Director will have final approval of all content placed on the website. This is to ensure best practices and ensures no favoritism towards any leader or member. If the item is approved for content on the site, it does not need branding as the site already has branding. If the item will be printed offline, it must have proper branding because it is considered a stand-alone document therefore must abide by Toastmaster branding rules. ▢ Submit a ticket with website submission request. Answer all questions. ▢ All members of the web team will review request and take action within TAT (Turn Around Time). With the new procedures in place this will change the direction of how the blog is handled. SLA-A​​ Service Level Agreement (SLA) defines the expectations and requirements for delivering a service, including the allowable time frame for the delivery. The actual time frame that is defined in the SLA. Intermediate time frames for completing the process steps. These time frames are shorter than the overall time, to allow the support team to complete the service well within the overall SLA time frame. TAT​​ (Turn-Around Time): Time taken to complete a certain task. A new repository will be created for all District Documentation to replace Dropbox and Google Drive. The Repository will be an offsite server linked to our current website. The repository will be managed by the Website Admin and proper access given as needed for folder management. If you need access please submit a helpdesk ticket requesting permission and the reason you need it. The web team will review your request and get back to you within the SLA time frame requested.